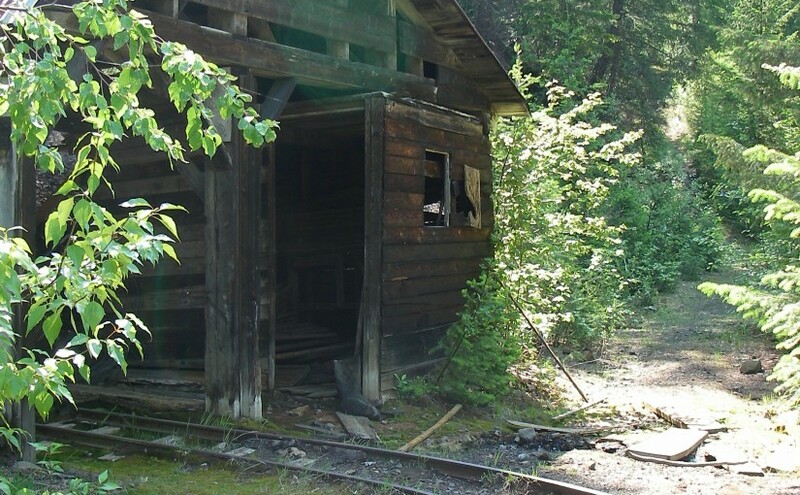 Site Description:The K & S Railway Trail can be done in many ways. No matter how you do it, be sure to give yourself time to poke around the old mine sites, admire the rock work and pause to take in the views. From Sandon to Payne Bluff is an easy stroll. To make it easier, drive the first 2.3 km and then it is only 3.8 km to Payne Bluff. If you have a way back from Three Forks, you can take the old pack trail, down to the highway from Payne Siding. If you want a bit of a workout, start at Three Forks. The first section of trail takes you to the old CPR grade. Follow this for 300 metres, then look for a sign that directs you to the left and up, onto the old pack trail. After a steep 1.4 km you are at Payne Siding. Turn left to Payne Bluff, which is 300 metres along the railway grade. Biking? The first 2.5 km from Sandon is a pleasant family bike ride. After this, the trail becomes single track and somewhat technical. Driving Directions:Access to the Sandon end of the K & S: At the junction of Hwy 6 and 31A in New Denver, turn east onto Hwy 31A. Proceed for 8.3 km to the turn off to Sandon. This junction is known as Three Forks. Proceed 5.5 km to Sandon. Rather than going over the bridge, continue straight ahead on Reco Street for 500 metres to the “K & S Historic Railway Trail” interpretive sign and trail head. If you would like an easy family bike route, the next 2.3 km along the railway grade to the Altoona Mine, has a gentle grade and is wide. This section of the trail is also suitable for 2 wheel drive vehicles or a pleasant walk. Access from Three Forks to the K S: At the junction of Hwy 6 and 31A in New Denver, turn east onto Hwy 31A. Proceed for 8.3 km to the turn off to Sandon. Park at the trail head sign on Hwy 31A, 100 metres north of this junction.